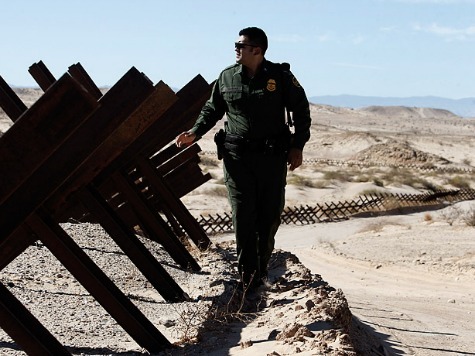 Department of Homeland Security Secretary Janet Napolitano has claimed the US/Mexico border is very secure, but regular citizens are contradicting her with their own experiences. The Texas Department of Agriculture has a 16-part web series called “Texas Traffic” on their website. It’s about “true stories of drug and human smuggling” from citizens and law enforcement alike. If federal Border Patrol won’t help them, they say, they’ll take matters into their own hands. In the series, ranchers and farmers, along with local law enforcement, are very critical of Ms. Napolitano and the Border Patrol. One subject is Jim Ed Miller, a third-generation cotton farmer living on the border. “Janet Incompetano thinks so much of her fence that she doesn’t want anyone tearing it up so she puts Border Patrol down there to guard the fence,” said Mr. Miller. Another farmer, Jerry Klein, carries an AR-15 semi-automatic weapon with him in his pickup truck for protection. He said he is often stopped and questioned by Border Patrol while he is working on his farm. “I think they ought to be on the border watching the border, not over here messing with us,” said Mr. Klein. The Border Patrol insist illegal border crossings are down to their lowest level in decades, and in the El Paso sector, arrests are down by 9% from last year. But all along the southwest, border arrests are increasing by 7%. But this doesn’t matter to them. “We can argue statistics all day long but statistics fail to cover up bullet holes,” said Texas Agriculture Commissioner Todd Staples. This grassroots pushback comes as Ms. Napolitano tries to take credit for doubling the number of Border Patrol agents nationwide. She claimed the number of active agents has increased from 10,000 in 2004 to 21,000 in 2012. However, at the end of FY 2009 agents were already over 20,000, showing the lion’s share of credit goes to the Bush administration. Unfortunately, border security is not receiving a lot of attention from the media or either presidential candidate. They can say whatever they want, but regular citizens’ experiences give them the perception that the border is not secure and they are not safe.